The ’90s, our little revolution. If you weren’t there, you probably missed it. 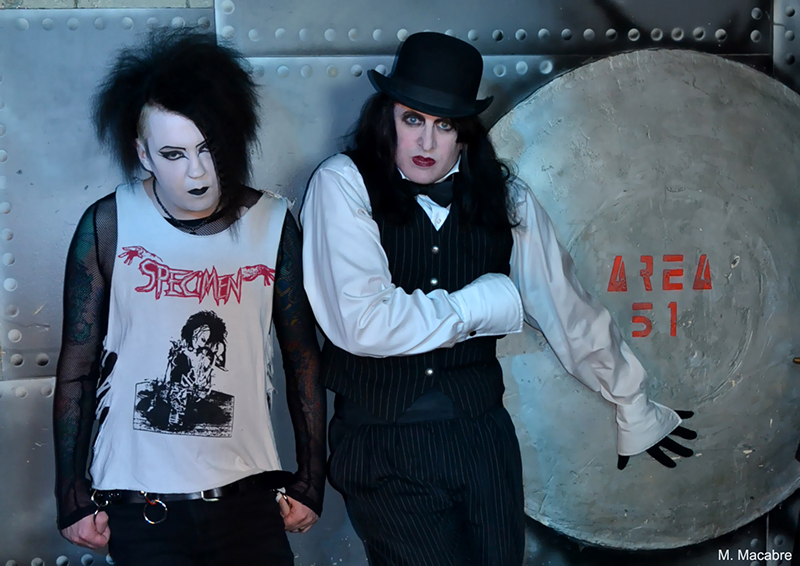 For the better part of a decade, Salt Lake City was home to a thriving underground goth scene. It was goth before goth was pigeonholed into being something defined by Hot Topic or mainstream media. It was a wild kaleidoscope of music and fashion; a renaissance for the few of us who were in the right place at the right time. Twenty-five years later, there’s a parking lot and a Walgreens where Club Confetti used to be. Next door, the McDonalds and Smith’s received facelifts—that’s gentrification my friend. Two or so blocks to the west, I’m sitting in Dee’s Family Restaurant with a trio of beautiful people. It’s bright outside and I forget to ask if we’re using codenames. If so, on my right is vISION, vocalist for Tragic Black. To my left is DJ Evil K and Mádame Macabre. I suppose that makes me Rien. It’s the second time I’ve met with Evil K at Dee’s. A handful of months ago, we talked about his retirement from being a DJ. It was a retirement that didn’t stick. We’ve returned to the old haunt to talk about Nostalgia Night, an evening at Area 51 dedicated to the sounds of the local goth scene in the ’90s. Evil K and vISION will DJ and celebrate the release of Tragic Black’s new album, Nostalgia. “I wanted to see if [Evil K] would be down for a night when we could both play some of the music from the ’90s when I got into [the scene],” says vISION. Around 1999, there was a dramatic sonic shift worldwide in goth culture. Guitar-based bands became a rarity as EBM from mainland Europe stole the focus. Bands like Corpus Delicti, Children on Stun or Faith and the Muse were replaced by the sounds of Covenant, Apoptygma Berzerk and VNV Nation. Over the past few months, Evil K and vISION have noticed a shift away from EBM in favor of the guitar-driven sound. But what was it about the ’90s that made it special? I was just getting into music in 1989 when I discovered the likes of The Cure, New Order, Clan of Xymox and Love and Rockets. I was there in 1992 when the local scene really started to make shape, but seeing as I was only 15 years old, I was naïvely unaware that anything special was happening around me. By 1999, things had changed dramatically. 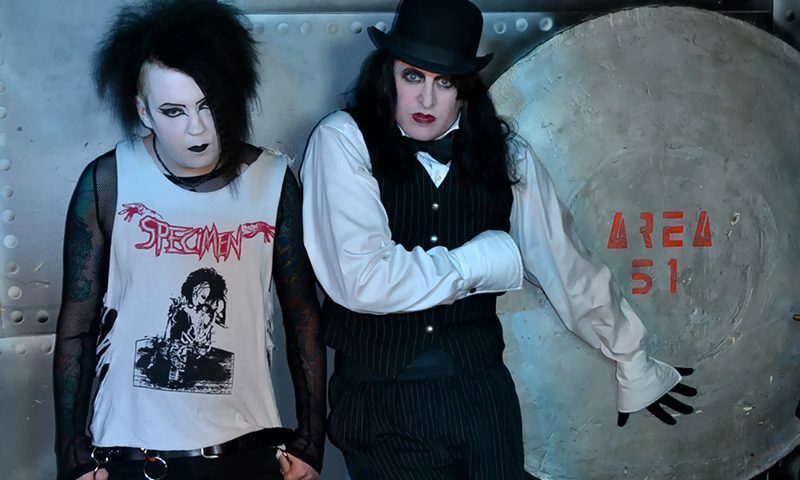 Goth had gone from a loosely connected swarm of musical genres and aesthetics into something more easily defined. People no longer had to dig through secondhand shops to find their velvet jackets and ruffled shirts or mail order their pointy boots. You could walk into Hot Topic and buy your vinyl pants and concert T-shirt.